Carlotta goes missing, suspicions about Olivia (guest star Kayla Smith) rise as she continues to pursue a friendship with Alex to cope with the loss of her sister. Maurice and Mateo settle on an agreement that tests Noah’s loyalty. Miss Bruce and Bobby (guest star Harold Perrineau) connect over their similar pasts and Noah, Simone, and Star try to keep Carlotta’s Music Festival afloat in her absence. Guest Cast: Benjamin Bratt as Jahil, Camila Banus as Nina, Kayla Smith as Olivia, Lyndie Greenwood as Megan, Harold Perrineau as Bobby Brooks, Olivia Dawson as Geraldine, and Kenneth Israel as Chris Mackey. Air Date: Wednesday, Nov.1 (9:00-10:00 PM ET/PT) on FOX. 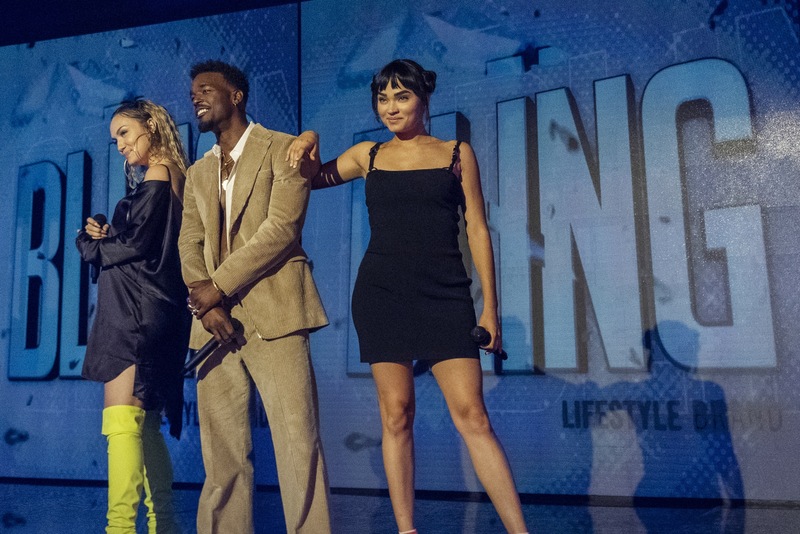 STAR: L-R: Jude Demorest, Luke James and Brittany O'Grady in the "Someday We'll All Be Free" episode of STAR airing Wednesday, Oct. 31 (9:00-10:00 PM ET/PT) on FOX. ©2018 Fox Broadcasting Co. CR: Wilford Harewood/FOX.